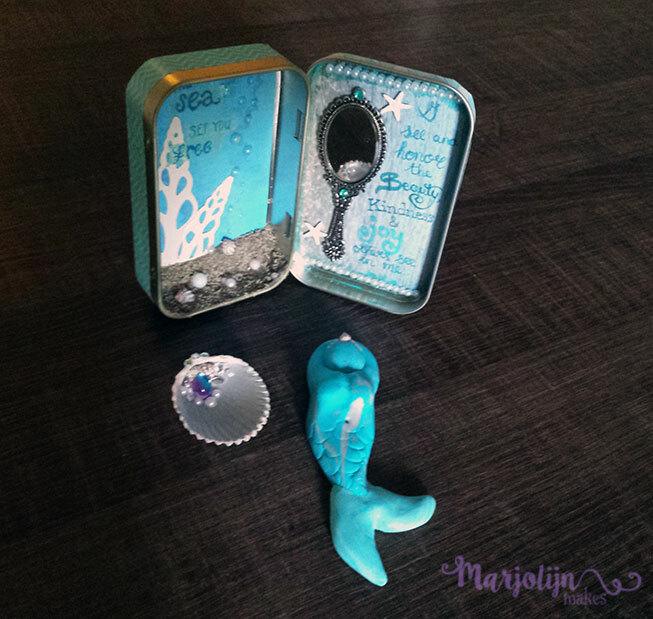 Last post I talked about the little Goddesses we were making for our travel altars. 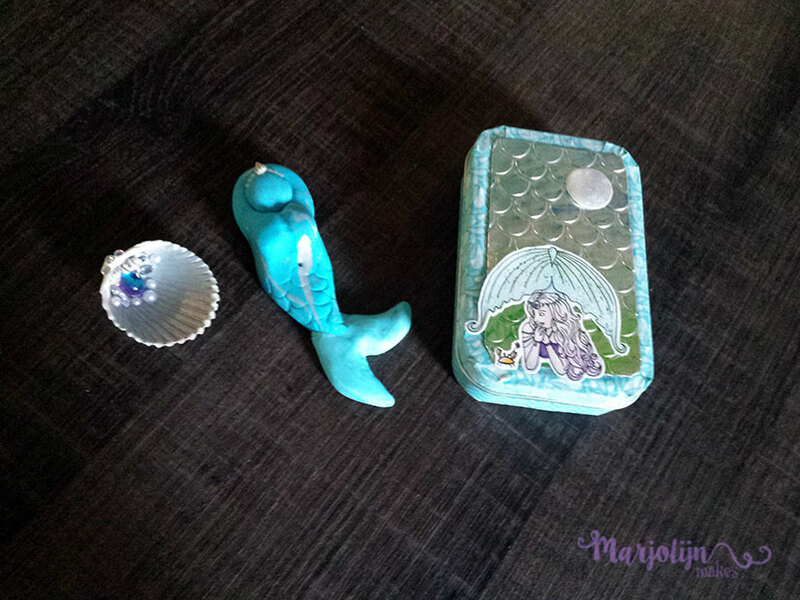 The Mermaidgoddess didn’t come out as I had wanted her for my Nehalennia altar, so I decided to make something else fun with her! 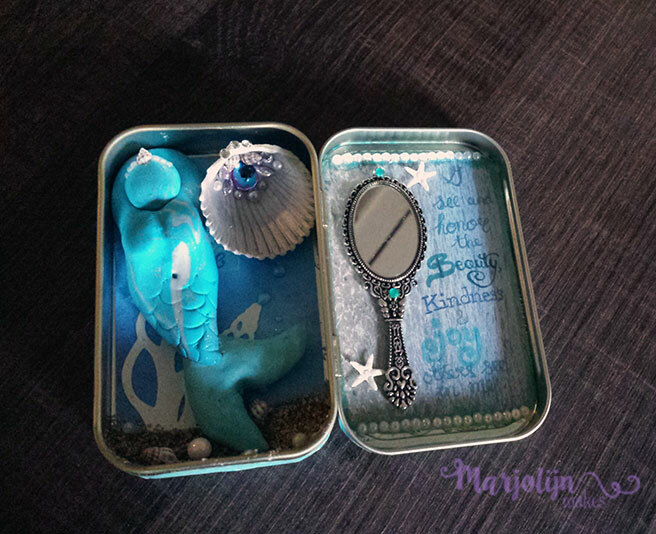 My good friend Nikki is secretly a mermaid in disguise, so to surprise her I wanted to make a little tin ‘shrine’ for her. 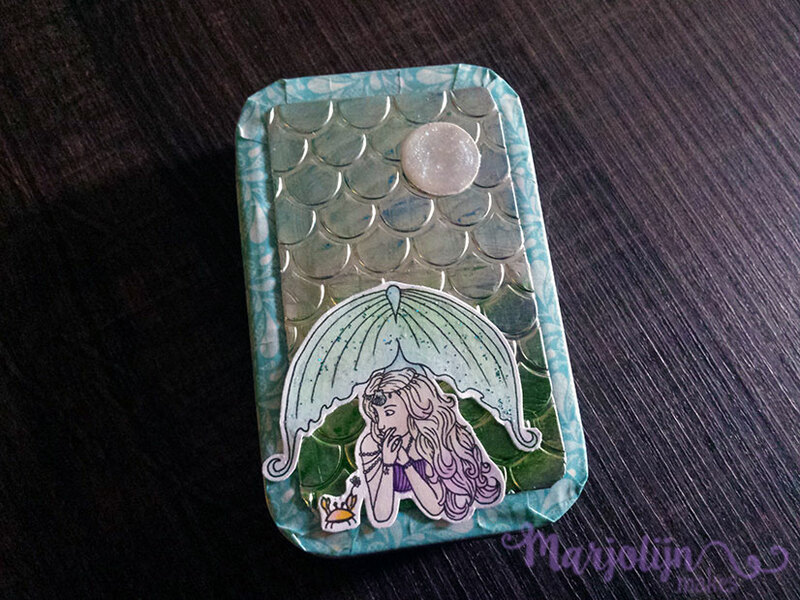 I started with the inside, glueing the mirror pendant on an ATC background and fixing that to the inside of the tin. I then wrote the text which says ‘I see and honor the Beauty, Kindness & Joy others see in me’. If she’s anything like me, and she is, she needs to remind herself of that every once in a while. 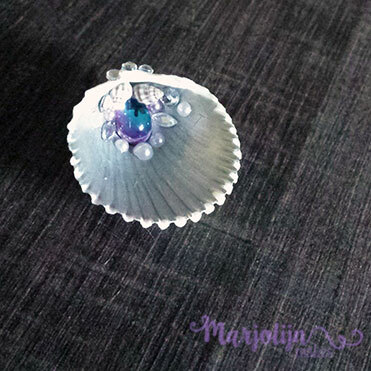 On the other side I used a Sizzix die to cut out the shells. The bubbles are made with a pearl pen and the little beach is real sand with tiny shells and pearl beads. The front was first covered with washi tape. I embossed cardstock covered with metal tape to make the scales, which I then coloured with my trusty flexmarkers in blues and greens. The mermaid is a drawing I made especially for this project, digitized, re-scaled and coloured with flexmarkers. The little moon is also made with the pearl pen and gives a nice shimmer. I wanted to make a tiny offering bowl to go with the shrine, so I painted the inside of a shell with silver paint and added rhinestones and shells to make it pretty! When I added the little beach on the inside, I was afraid the Goddess wouldn’t fit anymore, but everything fit perfectly! She absolutely loved it! I gave it to her the day we went to the Kreadoe, the biggest arts-and-crafts fair of the Netherlands. We had a blast and I bought a bunch of awesome things that I can’t wait to make new stuff from! 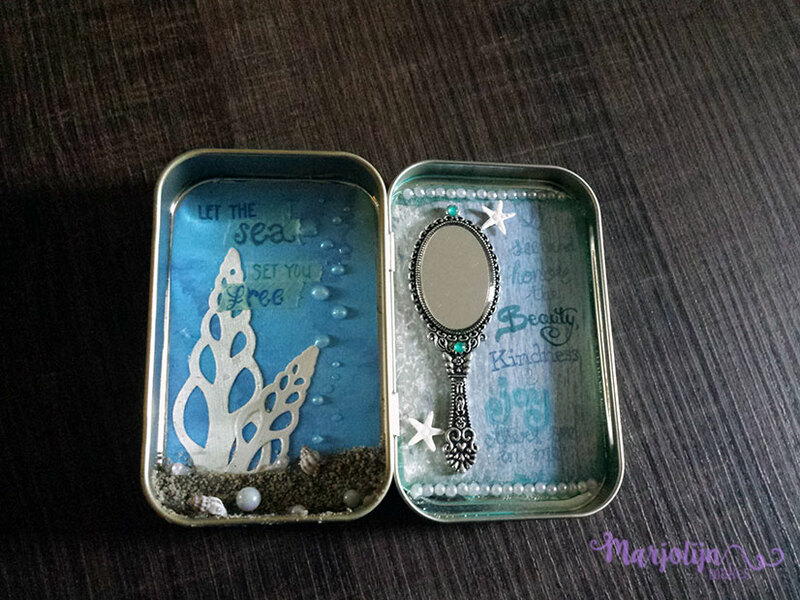 This was the first time for me making an altered tin like this, but I loved it! I already have a pretty good idea for the next one, so stay tuned!! Next > Meet Clary Sage and new stamps! Judith, I have to agree, it does look even more pretty in real life! I adore everything about it, the craft(wo)manship, all the shiny things and the quote that suits me so well. So far I have opened it every day 🙂 The little crab offering a flower to the mermaid makes me smile every time I see it! Whoever the next person is, to receive such a beautiful gift, will be just as over the (pearl pen) moon as I am 🙂 Thank you so much!